ILIGAN Rep. Frederick Siao on Monday said executives of VNS Verde Soko Philippines Industrial Corp. could no longer be located. “They are neither in Misamis Oriental nor in South Korea,” said Siao, the congressman who first brought to the Lower House’s attention the shipment of thousands of tons of garbage from South Korea to Misamis Oriental. 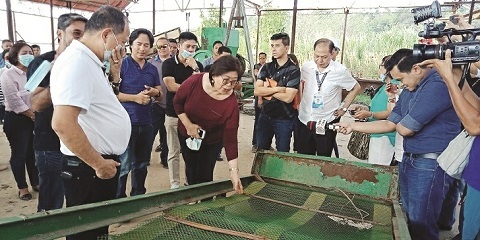 Siao said congressmen were dismayed to find that much of the garbage from South Korea were found piled up at the Verde Soko plant at the Phividec Industrial Estate in Tagoloan, Misamis Oriental. He said only the second shipment has been returned to South Korea but the bulk has remained in Tagoloan town. Siao said congressmen also found that Verde Soko only had makeshift structures, and that its facilities were incapable to recycle. “Clearly, it was garbage from South Korea that was dumped. It even contained very dirty materials from hospitals,” said Siao. Last week, the chairman of the House committee on good government and public accountability issued a show cause order against executives of Verde Soko. Verde Soko officials were a no-show at the public hearing, prompting Rep. Henry Oaminal of the 2nd District of Misamis Occidental to issue a show cause order against them. “If still they will not appear before this committee, we will issue warrants of arrests against them,” he said. The Committee held a public hearing in Cagayan de Oro on Friday to investigate the dumping of 6,500 tons of garbage from Pyeongtek, South Korea, passed off as recyclable plastics. Of this, only 1,400 tons of wastes were returned to South Korea in January. The first shipment of 5,100 tons arrived on July 21, 2018 and was immediately sent to the four-hectare facility of Verde Soko, in Sitio Buguac, Barangay Santa Cruz in Tagoloan. The second shipment of 51 container vans loaded with 1,400 tons arrived in the second week of August last year. The container vans were held at the local port until these were returned. House members also moved to suspend Franklin Quijano, Administrator of the Philippine Veterans Investment Development Corporation (Phividec) Industrial Estate, a government-owned and controlled corporation; Efledo Resma, its port assistant manager; and former Cagayan de Oro Bureau of Customs Collector Floro Calixhan for allegedly allowing Verde Soko to import the garbage from South Korea. 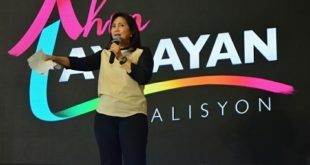 Quijano, Resma and Calixhan denied the allegations, maintaining that Verde Soko imported recyclable plastic waste for its facility in Barangay Sta. Cruz, Tagoloan town, Misamis Oriental. Oaminal said the Committee would hold officials of Verde Soko responsible for bundling of the garbage in their facility. He said the South Korean government had promise to foot the shipping costs amounting to P45 million. “The shipping requires the garbage wastes to be bundled into bags. Verde Soko should pay the. Otherwise, its is the Filipino people who will hold the empty bag eventually,’ he said. South Korea paid the US $47,000 shipping costs that brought back 51 container vans containing 1,400 tons of garbage to their port of origin in Pyeongtaek, South Korea on January 13 this year. John Simon, Bureau of Customs port collector said in January that in accordance with the Basel Convention, the container vans were to be shipped back to South Korea aboard M/V Kalliroe of Maerks Shipping at the expense of the South Korean government. The Philippines and South Korea are signatories to the Basel Convention on the Control of Transboundary Movements of Hazardous Wastes and their Disposal, more popularly referred to as the Basel Convention, designed to reduce the movements of hazardous waste between nations, and specifically to prevent transfer of hazardous waste from developed to less developed countries. Simon said the return of the household waste to South Korea was a result of series of meetings that culminated in Cagayan de Oro on Dec. 26 and 27. Rep. Lawrence Fortun (1st district, Agusan del Norte) said Calixhan told him Verde Soko officials are in constant communication with him. Magdalo partylist Rep. Gary Alejano recommended that the house committee ask the Department of Foreign Affairs to send a strong note verbale to the South Korean government to stop dumping its garbage in the Philippines. Alejano said this is the second time garbage from South Korea was discovered—the first here in Misamis Oriental and Cebu City where 25 tons of garbage were found late last year. Bayan Muna partylist Rep. Carlos Isagani Zarate also called for an investigation of Phivedec and BoC operations in Misamis Oriental. 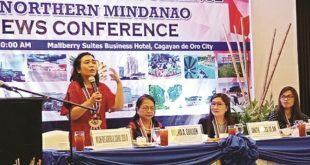 “In their haste to earn money, Phivedec officials neglected to safeguard the interests of the people and here we are now, Misamis Oriental has become a dumping ground,” Zarate said.